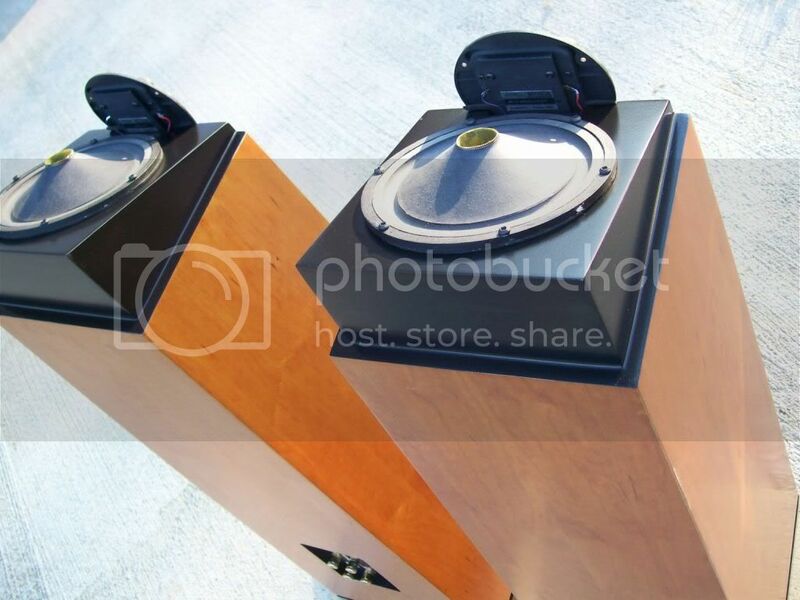 This set of custom speakers is one of only three sets produced. 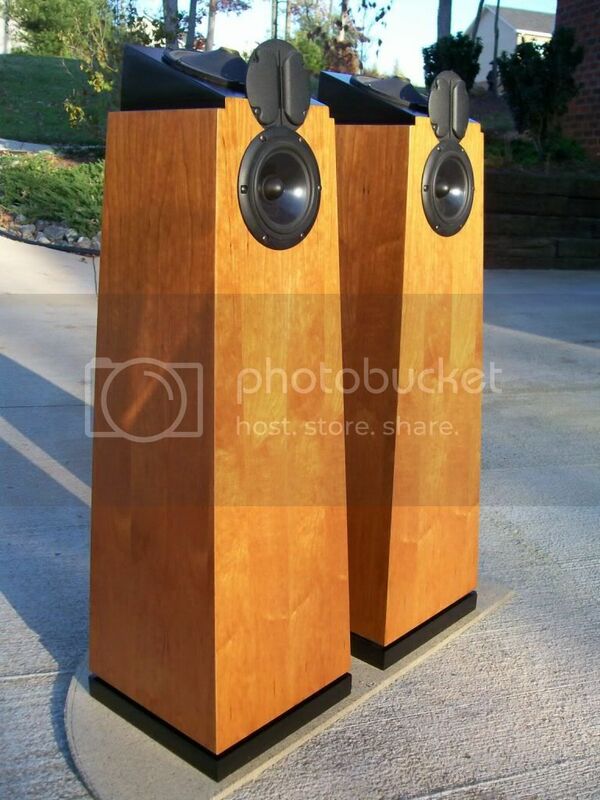 They were designed as a major upgrade to the standard RL-3's with superior performance in a revised cabinet design. This particular set however, is truly a one-of-a kind, as it is the only set that has been further advanced with internal modifications to the cabinet for increased bass refinement. 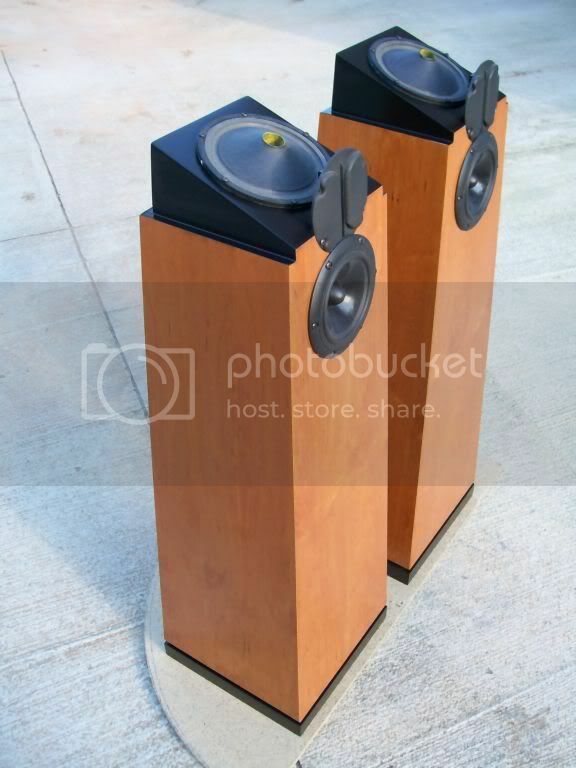 The base has been upgraded to the new design which significantly extends the bass with much better definition. This base is user adjustable in which spacers can be inserted to adjust the port opening to match the room's response curve to taste. There is provision for installing spikes if the user chooses to do so. The crossover network has been upgraded as well with premium parts. These never went into production as a revision to the upper layout required a new cabinet design to incorporate a flush mounted cover. 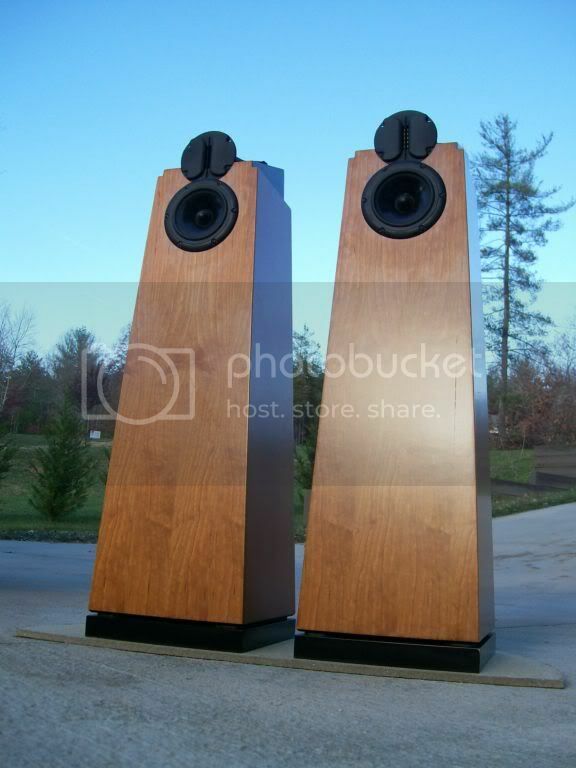 This does not affect the speaker performance or driver design as what the revision would sound like by comparison. It is purely a cosmetic issue that forced a total re-design to make a commercial version work. This set is available as shown without any covers as they were never created for this model. 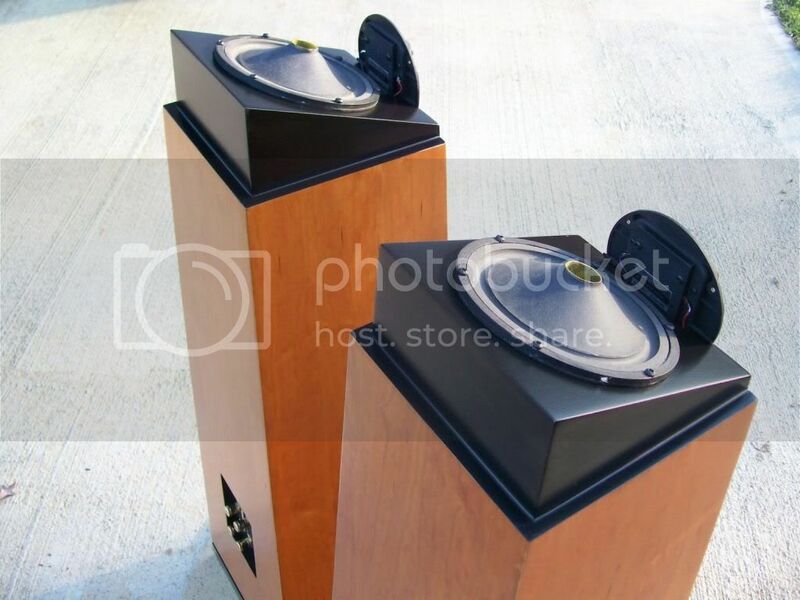 If you want a killer set of speakers with the same performance as the higher end models at a fraction of the retail price, this is the only set available. You get a huge discount due to the cosmetic situation and that is the trade-off. Note: there are also some minor cosmetic flaws which can be corrected by the buyer. There is a paint chip at one of the base corners. There is also a small paint nick at the top of one speaker where solder contacted the surface by accident. There is a small chip-out of the bottom cabinet corner which is only noticeable when viewed directly up-close. These are not perfect cosmetically, but they are still very attractive in general. They are perfect performance wise and that is what really counts. I'm letting these go for what has been invested to build them! If these were a finished set without any cosmetic flaws, they would retail at a price of almost four times as much as this set is offered for. Grab them while you can, as this is a one time offer. Heavy duty shipping containers will be used to ship these. The price that I need to get includes shipping and handling charges with a maximum of $150.00 credit. Any further shipping charges will be applied to the total cost. 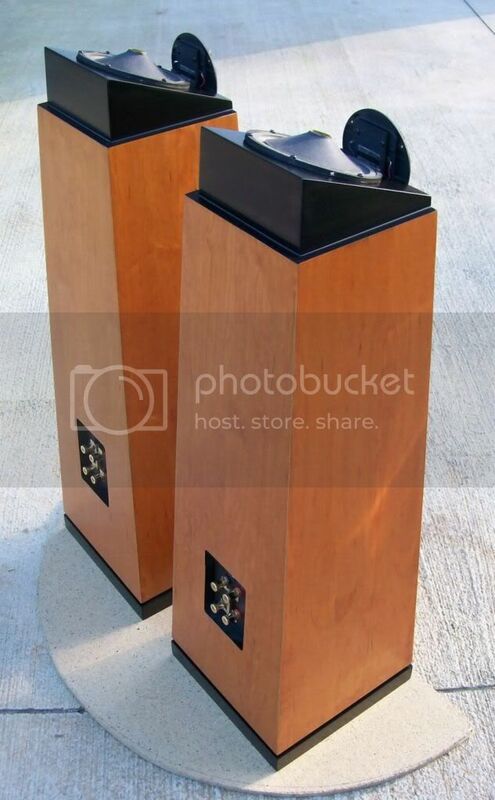 The price was going to be set at $1475.00 which is my cost invested in them to build. I need to move them quickly, so I am going to offer them at a loss for only $1275.00 with the $150.00 shipping credit factored in. If interested, send me a PM and I will get back to you. I will be without access to the internet for the remainder of this week through the Thanksgiving weekend. If someone has a question or wants to purchase these, please send Ziggy a message during this period and he will contact me. 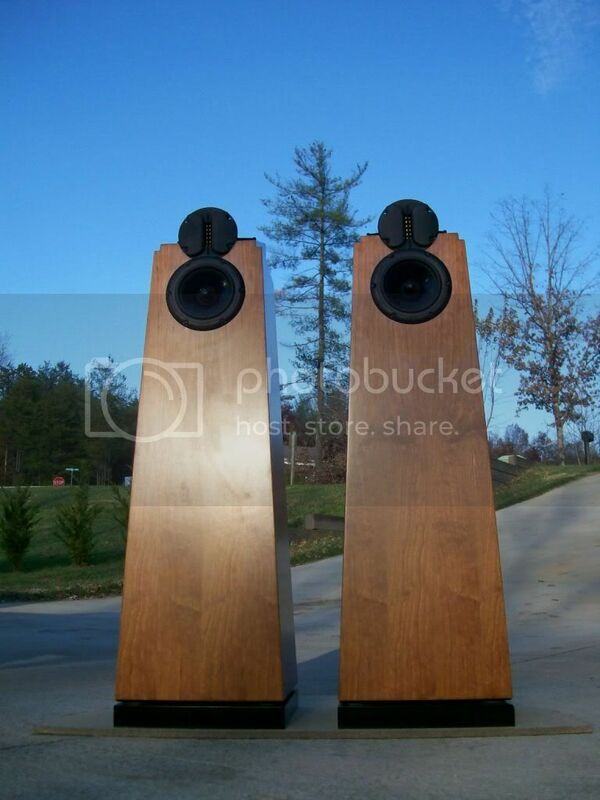 He can answer any general questions regarding these speakers. These have to go immediately due to financial obligations. I am willing to make a huge sacrifice on these if a reasonable offer is made before the 15th of this month. I am ready to sell now with an offer that you simply won't get again after this month is over. The price will go back well over the current asking price once cash flow is stable again. I most likely will not even offer them for sale, as I like them too much to part with them. Get them now while you still have the chance on an incredible steal. This is the last remaining set for this radial model and it is the only set retrofitted with the current design advancements . Make me an offer and I'll get back to you. This set is no longer available. I do hope that the new owner get's as much satisfaction from them as I did!